I’m going to continue my string of 924s with an interesting 1978 today. This car represents the early run of the original design. It was a simple, no-frills, lightweight sports car – in essence, what Porsche was all about. However, Porsche’s headlining cars had moved on to powerful 6- and 8-cylinder designs, and turbocharging ruled the roost in performance options – so the EA827 derivative normally aspirated 4-cylinder from corporate partners Volkswagen and Audi was selected. That relegated the 924 to only about 100 horsepower, but with good handling and excellent aerodynamics they were still entertaining – albeit relatively slow – drives. And, at less than $10,000 new, they were an affordable sports car with good build quality and a name established in winning prestigious races around the world. Yet, as Porsche does, sales success didn’t stop them from launching marketing-targeted limited production models nearly every single year – and charging a lot more money for them with options (up to around $15,000!). 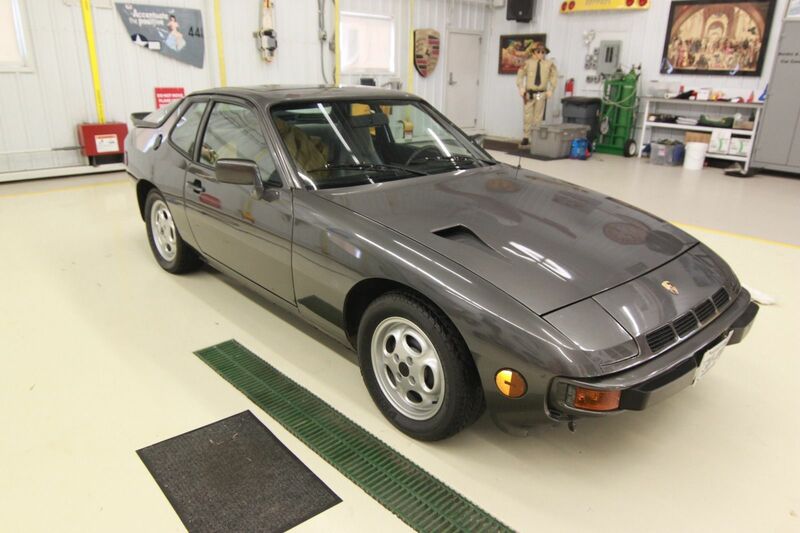 Today, if you want to collect an early 924, they’re generally the ones to grab. 1976-7 saw the Martini World Championship cars, while in 1978 you could have the Limited Edition model, and in 1979 the Sebring model. There was a 1980 Le Mans edition and further specials that we’ve seen, too. Along with the addition of the Turbo to the lineup in 1980, then, there generally isn’t much of a call to look at a non special edition early 924. But, this is one that might buck that trend…. 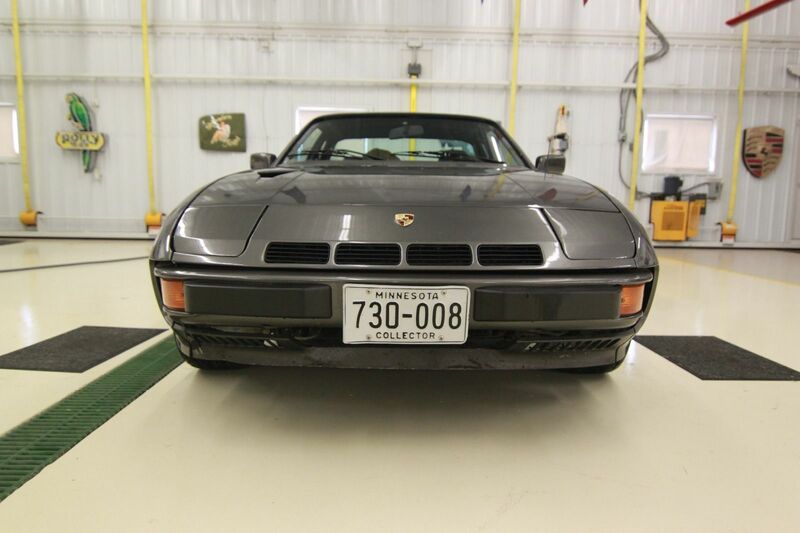 This listing is for a 1978 Porsche 924 4 speed. 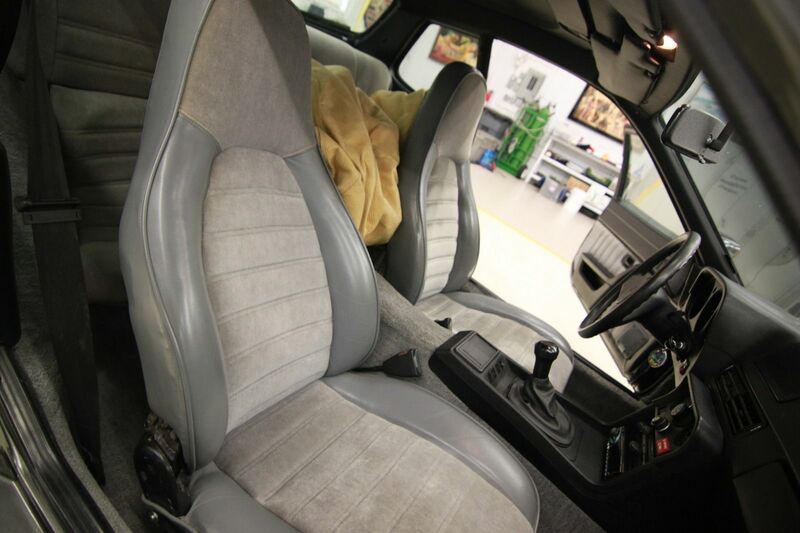 Dolomite gray on gray interior. 47800 original miles. 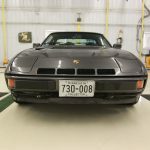 in 1983, the car had a genuine porsche turbo nose and hood installed/painted, in 1985, the rare ATS Germany phone dial wheels were added along with a 944 rear spoiler. This car is an air conditioning car, has retrofit power windows, early model alpine CD player. Comes with three original keys, owners manual and paperwork dating back to 1981 (current owner purchase). recent service completed including remanufactured brake servo and odometer trip gear. 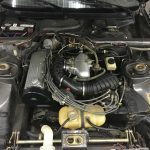 the car starts, runs and drives great, however, it hasn’t been regularly driven since 1986, so the tires are 30 years old and would need to be replaced for a highway drive due to weather checking. Not a speck of rust top or bottom, interior and exterior are near-mint, noting only one pea sized ding on the left headlight cover and a small scratch on the drivers side rocker panel from seat belt being pinched in the door accidentally years ago. please inquire with any questions I can help with. 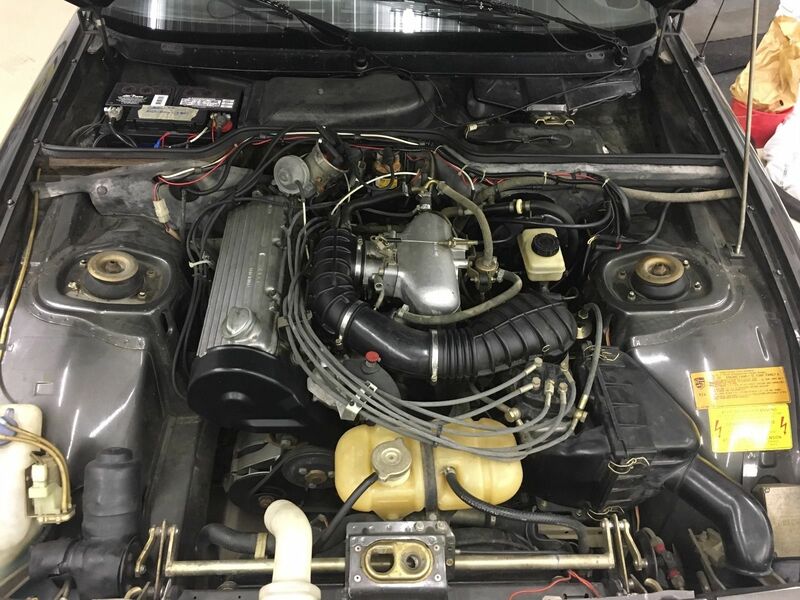 VIN is 9248209509 ebay wont let me list a pre 1981 vin. The reason that this one grabbed me was the condition, modifications and color. 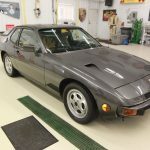 Dolomite Gray Metallic is a lovely color and was the tone selected for the ’78 special edition. However, those cars had black interiors, so I don’t believe this is one of the Limited Edition models. A look at the build sheet to see if it had “M426” as an option would tell, but my guess is no. It’s really the modifications that help to set this car apart though – the period addition of the Turbo bits in the front coupled with the ATS phone dials is a very interesting look. 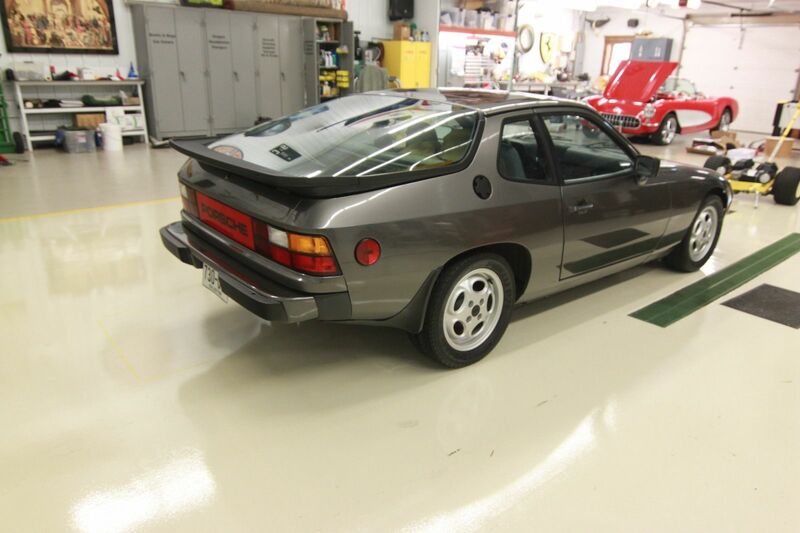 The sporty nature is assisted by the larger 944 rear wing (’78s had no wing), and not mentioned but added were the mud flaps as well. The car pulls the look together nicely. Condition appears to be outstanding overall as a survivor, with accepted amounts of wear overall. Now, the trick – is it a $9,500 example? That, to me, is quite a stretch. In terms of collectability, the more original Turbo from Saturday would be a better use of that money. Or, for much less, you could look at any other 924 (including ones with low miles) that come to market pretty much any day of the week. And, if you’re looking for a driver, the later 924S is a much better choice. This car is period cool, but they haven’t developed the cult following of either the air-cooled crowd or (perhaps ironically, given the root of the development) the Volkswagen crowd that would gladly pay this amount for an equal condition Scirocco, for example. Unfortunately, most of the 924 run remains in an odd No Man’s Land; there are far too many nice examples that are just unappreciated by almost everyone to make them valuable. 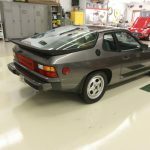 Tagged 1978, 924, ATS, Dolomite Gray Metallic, Phone Dials, Porsche, Volkswagen. Highly non-original early example with the crap-tastic 4-speed, non-original seat fabric, and other non-original mods (spoiler, wheels, hood, badge panel, paint, etc.). It’s a nice example, for sure, but I am surprised at the asking price as it does not appear to tick the usual boxes that collectors seem to be valuing these days. Also, FWIW, this car was on BAT and supposedly sold for $7,500. But now it is relisted on eBay for $9,350, and on Minneapolis Craigslist for $8,500. I’m curious as to why.